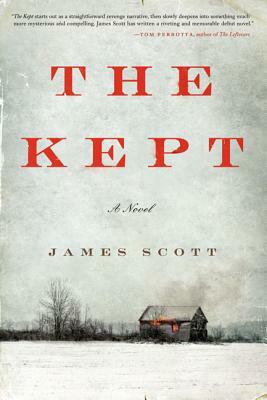 Set in rural New York state at the turn of the twentieth century, superb new talent James Scott makes his literary debut with The Kept—a propulsive novel reminiscent of the works of Michael Ondaatje, Cormac McCarthy, and Bonnie Jo Campbell, in which a mother and her young son embark on a quest to avenge a terrible and violent tragedy that has shattered their secluded family. In the winter of 1897, a trio of killers descends upon an isolated farm in upstate New York. Midwife Elspeth Howell returns home to the carnage: her husband, and four of her children, murdered. Before she can discover her remaining son Caleb, alive and hiding in the kitchen pantry, another shot rings out over the snow-covered valley. Twelve-year-old Caleb must tend to his mother until she recovers enough for them to take to the frozen wilderness in search of the men responsible. A scorching portrait of a merciless world—of guilt and lost innocence, atonement and retribution, resilience and sacrifice, pregnant obsession and primal adolescence—The Kept introduces an old-beyond-his-years protagonist as indelible and heartbreaking as Mattie Ross of True Grit or Jimmy Blevins of All the Pretty Horses, as well as a shape-shifting mother as enigmatic and mysterious as a character drawn by Russell Banks or Marilynne Robinson. James Scott was born in Boston and grew up in upstate New York. He holds a BA from Middlebury College and an MFA from Emerson College. His fiction has appeared in Ploughshares, One Story, American Short Fiction, and other publications. He lives in western Massachusetts with his wife and dog. The Kept is his first novel.